Get passionate, in-depth, one-on-one insight from a professional art specialist as you discover trendy hotspots and unconventional locales at your own pace, on your own tour. 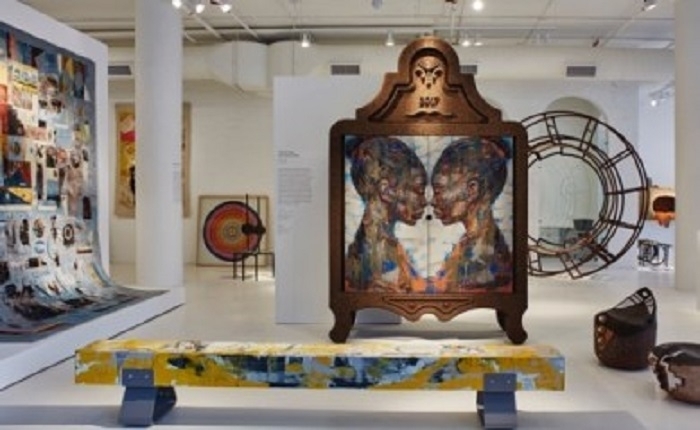 Culture Connect SA specializes in providing expertly curated private art tours. 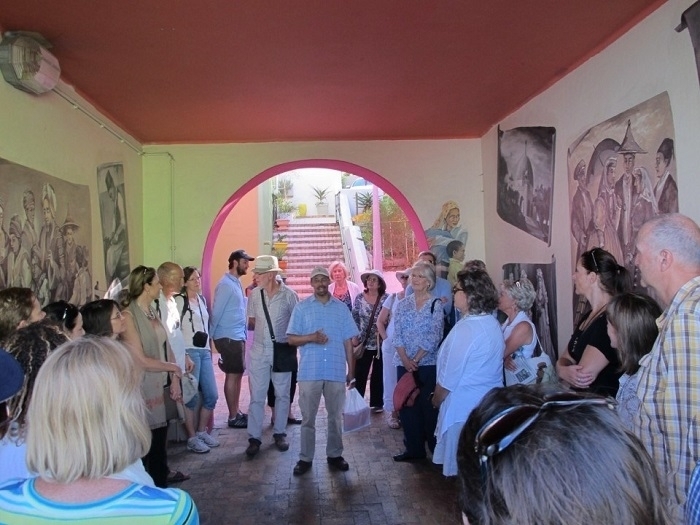 Immerse yourself in Cape Town’s rich heritage with guided historical walking tours. Take in the natural beauty, the history and the harvest of the Cape Winelands. Navigate to the 200-year-old naval base in Simon’s Town. Learn about the indigenous people of Cape at San Culture Centre !Khwa ttu. Give ear to local storytelling in Langa township, and even discover the hidden history of Freemasonry in the Cape. Tuynhuys – a beautiful facade showing what 18th century Cape Town would have looked like. First it was a tool shed for Company’s Gardens, hence its name which means garden house! But for over two centuries its been for the highest political authority of the land (it is next to Parliament). It is now part of the President’s office and extremely hard to get access to. Next to Parliament, the main facade is visible from Government Ave. It was restored – based on old records, a hidden balustrade and the expert judgement of the conservation consultants and client. (One of the team felt so strongly that the cherubs were too large, he resigned from the appointed architectural practice!). The old shul, now part of the South African Jewish Museum, Hatfield St, I like the quality of displays, simplicity and the way it is so well maintained. It tells the story of how Cape Town developed from the point of view of Jewish immigrants from overseas – there is a ramp leading from one part of the museum to another, reminiscent of a ship’s gangplank. As a European immigrant myself, albeit Christian, this has a resonance for me. Its small portico is Art Deco ‘Egyptian’ in style. It can be seen from Company’s Garden, next to the much grander, newer synagogue. The Hanafee Mosque at the corner of Dorp and Long Street. I like its size, proportions, exterior’s details colours and the way they use outside for praying too occassionally. I’ve been allowed in, without asking in advance, which I really appreciate. Wagenaar reservoir ruins and model underground in Golden Acre – an unexpected location and a good reminder about water being so precious and why Cape Town developed. It is also reminds me of how the sea used to be so much closer to the centre of town pre the massive land reclamation, starting in the 1940s. Grand Central, Darling Street – the former main post office. This huge building is a good reminder of how important the mail ship and post were. Its tall, modern ‘Art Deco’ style caused quite a stir when it opened. The original 1940s stone carvings and old Post Office counters are still in situ and a huge contrast to its current use as a market stalls selling all sorts from hair braiding to fried food! 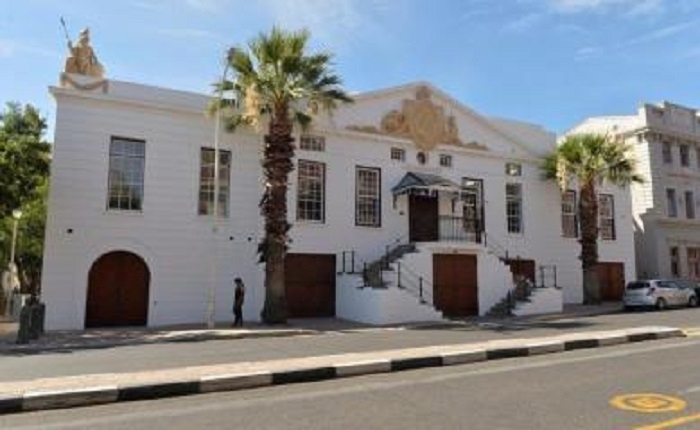 Koopmans-de Wet House, Strand St, the exterior is Cape Neo-Classical as its finest (but it does need some maintenance work!). It helps me imagine what Cape Town would have looked like in the 19th century. 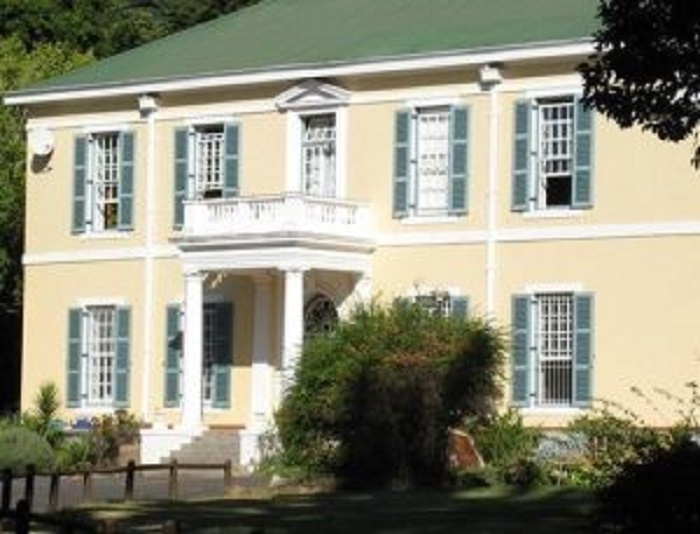 I like the sound of its last owner, Maria Koopmans-de Wet – she was a heritage activist! She campaigned to stop the Castle of Good Hope being knocked down about 100 years ago. Prestwich Memorial, corner of Buitengracht Street and Somerset Road – like the Company Garden’s Visitor Centre, it has a really good small heritage exhibition. Off to one side is the ossuary with over 2 500 boxes of bones from nearby unmarked graves, probably slaves, sailors, poor people, and Khoi. There is a really sad side to much of Cape Town’s heritage that shouldn’t be ignored. Artists’ Wilma Cruise and Gavin Younge The Memorial To The Slaves – 11 granite blocks laid out across Church Square – silent, poignant reminders of who really built Cape Town. Jacques Coetzee’s Open House, a bright, large and fun artwork referencing the colonial style buildings on Long St where it is, and RDP houses built by the government in townships. Its hard to depict 20 years of democracy, but this works for me. Homecoming Centre’s gates, District 6, Buitenkant Street based on an artwork by the late Peter Clarke. One of the most beautiful burglar bars in town! And a lovely way to enter this renovated heritage building which I always enjoy visiting for events and exhibitions. Artist Roderick Sauls’ apartheid-era benches outside the High Court Annex on Queen Victoria Street one for whites only, the other not. It seems bizaar that people were sent to this court to see if a pencil would stay in their hair – if it did, they were classified as black, in aparteid. Joburg based artist, Ruth Sach’s Cissie Gool Memorial (Longmarket at the Buitenkant Street end) – often used to sit on by smokers, unaware that it is an artwork or memorial! Conrad Botes’ Purple Shall Govern commemorating the End Conscription Campaign’s commandeering the Police’s dye spraying in 1989 (Burg and Church Streets). Woodstock is one of Cape Town’s oldest suburbs and the hub of South Africa’s major contemporary artists, art galleries and art studios. A gritty, creative, residential area close to the City Centre, its must-see highlights include the Old Biscuit Mill, a neighbourhood food and design market, WHATIFTHEWORLD a former synagogue, now a fully established art gallery, the Woodstock Exchange, a former industrial building, now a nerve centre of hipster activity, with shops by artists, photographers, fashion designers, film directors, traders, and more. At the City Centre, visit a variety of galleries, including South Africa’s premier art gallery, the Iziko South African National Gallery. Contemporary art galleries include AVA (Association of Visual Arts) South Africa’s first arts society, Smith, Chandler House, Ebony Curated, State of the Art and more. 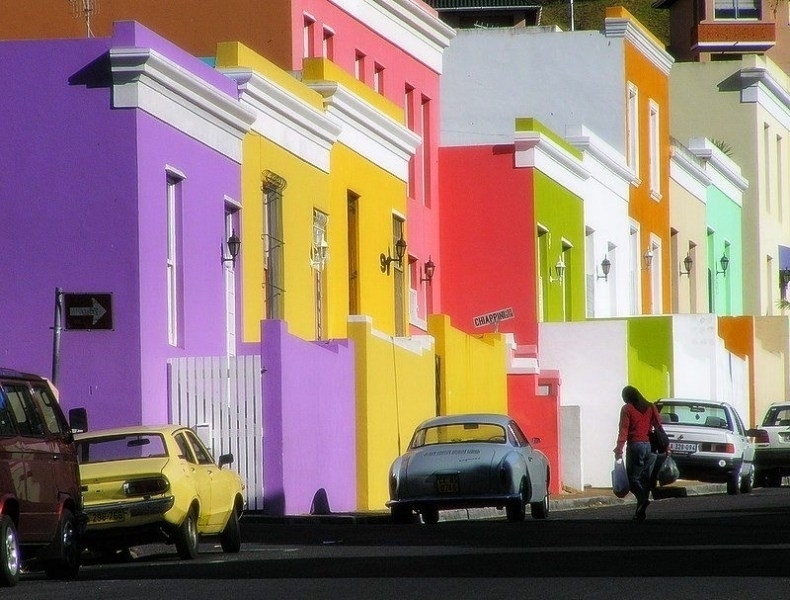 Discover the history of Cape Town, as told through art and architecture. Learn about the dark days of slavery at the Iziko Slave Lodge, one of the oldest buildings in Cape Town, where 9000 slaves from Africa and Asia were held captive. 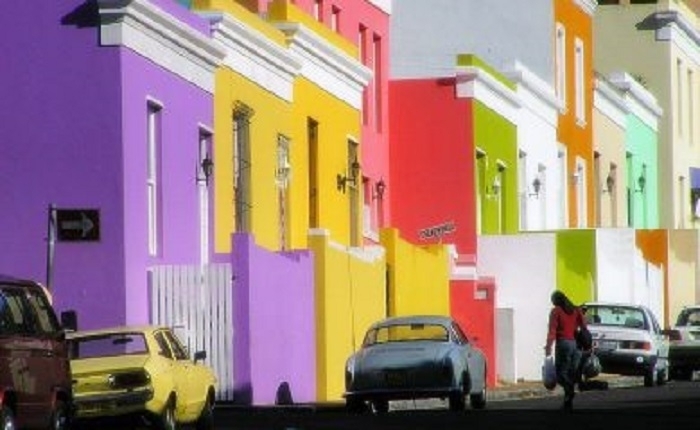 Admire the extraordinary Islamic heritage and culture of Bo-Kaap, an area formerly known as the ”Malay Quarter”. Bo-Kaap is a must-see as arguably the most photographed place in Cape Town due to its brightly coloured houses, cobbled stones, dramatic mountain background and Cape Dutch and Cape Georgian architectural styles. View outstanding examples of “moderne” architecture, typically Art Deco. From Mutual Heights, the tallest building in Africa at the time when it was built in 1939, to Mullers shop, which still serves as an optometrist, its original purpose. Join Culture Connect SA on a tour of The Old Granary Building, a recently refurbished 204-year old former granary that was declared a Provincial Heritage Site in March 2017. Built in 1812, this historic structure initially served as a house and a bakery. It later became the town granary, then a magistrate’s court, a post office, government offices, and a women’s prison. It currently serves as the home of the Desmond and Leah Tutu Legacy Foundation in order to restore and rehabilitate the building from its colonial history of war, slavery and later apartheid, to a peace centre, offices, restaurant and exhibition centre. 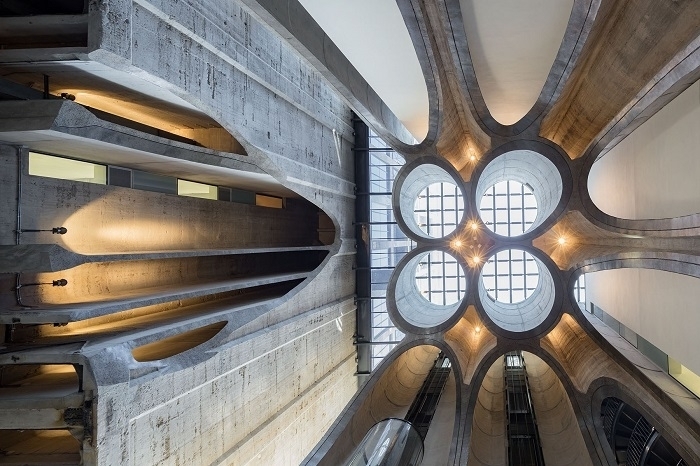 The tour is led by the City of Cape Town’s Senior Heritage Professional, Margot van Heerden as well as Kobus van Wyk of GAPP Architects. Discover the social history and creativity of Newlands as we explore vernacular architecture, ranging from the historical SACS Michaelis House and its stables (now Montebello Design Centre) to modern contemporary homes. 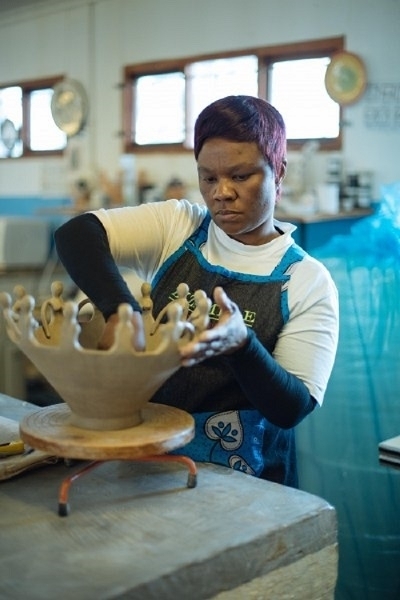 We visit the studios of artists and ceramicists, such as Sarah Waters, as well as top South African galleries David Kruts Projects and Barnard Gallery. Learn the social controversies of this neighbourhood, ranging from water to Forced Removals, and how Newlands developed from farms into a prosperous, highly desirable suburb. 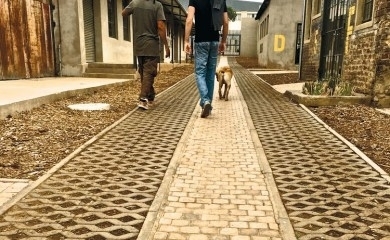 The walking tour is being developed by Culture Connect founder Kate Crane Briggs and architect Louise van Riet who lives and works in Newlands (it was the subject of her MPhil thesis). An eye-opening botanical tour of the indigenous and exotic trees of Arderne Gardens and Wynberg Park, both public parks. 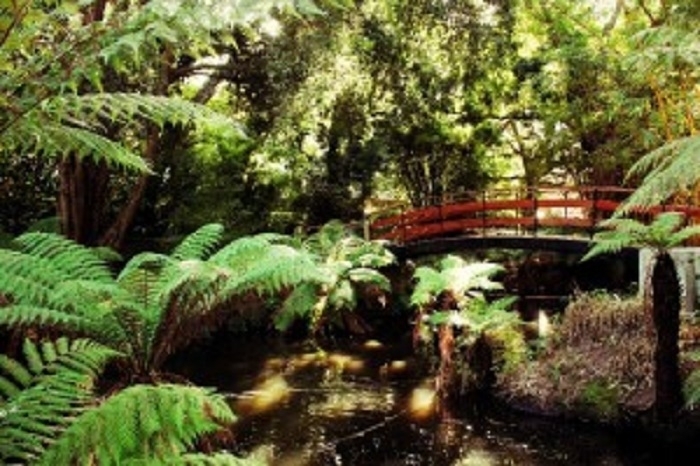 Professional landscape architect and university lecturer, Clare Burgess, guides us through the hidden gems planted in the municipal parks as she explains their historical and cultural significance to the Cape. Arderne Gardens is home to six of South Africa’s declared Champion trees and Wynberg Park showcases some of Cape Town’s famous endangered Silver trees. We end the tour with tea and cakes under gum trees, in picturesque surroundings. Pre-booking essential. Keen to explore Cape Town’s art culture but don’t know where to begin? A visit to some of the city’s most prominent art galleries is a great way to start. Take a look at our list of some of Cape Town’s best art galleries. Well worth the short drive out of town! New purpose built museum and sculpture garden, focusing on South African ‘greats’. It centres around Louis Norval’s significant private collection, with an impressive line-up of temporary exhibitions. 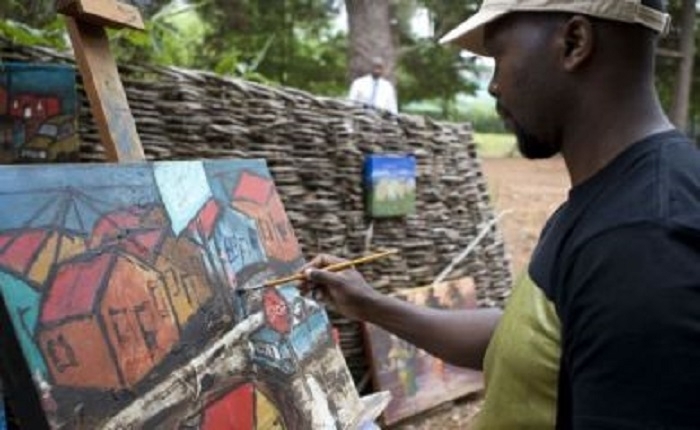 Like most South African art spaces, it is not too big and has a good range of events. South Africa’s first art museum, the Iziko South African National Gallery, has wonderful old galleries – wooden floor boards and high ceilings. Exhibitions are usually contemporary South African art, interspersed with works from its extensive historical collections. 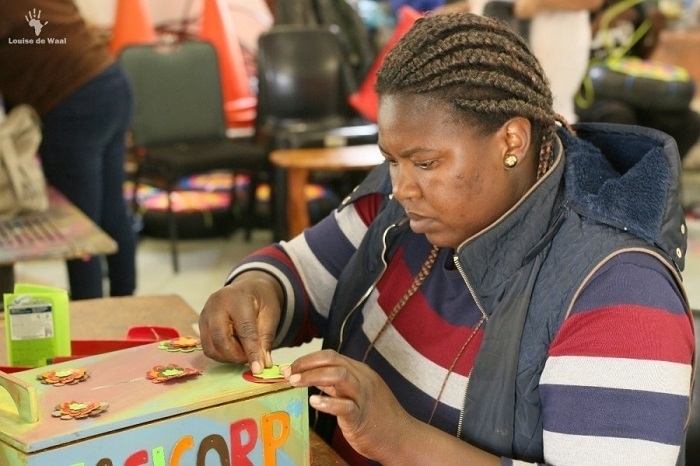 It has an active Friends scheme that is well worth joining if you live in Cape Town, or visit regularly. Opening last September (2017), this public, not-for-profit contemporary art museum, collects and exhibits twenty-first-century contemporary art from Africa and its Diaspora. If this sort of art isn’t your cup of tea, it is well worth visiting for the jaw-dropping architecture, designed by Thomas Heatherwick CBE in partnership with local practices. A gem located in the heart of Cape Town, the Association for Visual Arts (AVA) is South Africa’s oldest not-for-profit gallery and the ideal or discovering emerging artists. A panel of artists and art historians carefully select works to exhibit. STEVENSON Gallery is Cape Town’s Kunsthaus Zürich, or for me, Whitecapel in London where I worked many years ago. If you can’t face the entry fees Zeitz MOCAA or Norval, this is a worthy alternative. You’ll be tempted too by their publications. The gallery with the great name, SMAC (Stellenbosch Modern and Contemporary) is a good one for buy top-tier South African art at a manageable price. Make sure you visit their ‘store room’! 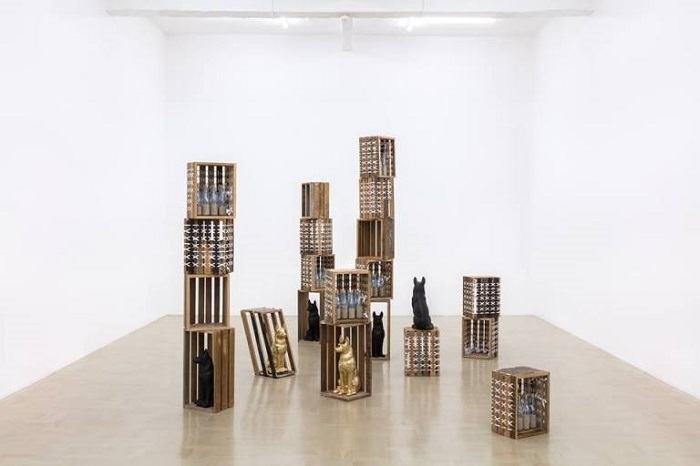 Established in Johannesburg, 1966, Goodman Gallery is South Africa’s first contemporary art gallery of note. No surprises it has many of South Africa’s big names: William Kentridge, Sue Williamson and David Goldblatt. But it also has international artists who engage in a dialogue with the African context. 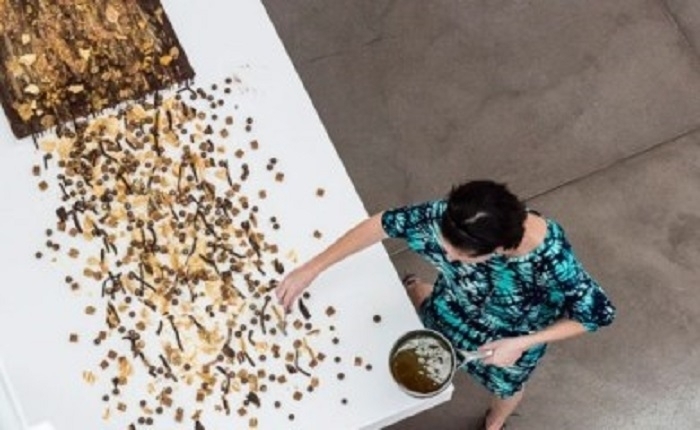 Blank Projects offers experimental art practices by mainly emerging artists, some of whom are now mid-career and whose works are exhibited at the Zeitz MOCAA and at New York Art Fairs. Sidenote: If you want a good place for the best salad in town, stop by The Kitchen on Woodstock’s the main road – they have expanded into Blank’s former gallery. WHATIFTHWORLD is the home of a group of young contemporary Southern African artists. If you are particularly interested in film, this is your place. Some of my favourite South African mid-career artists are represented by this gallery that pops up in the art fairs around the world. The best high-end design shop in town, Guild is the only gallery that represents locally made collectible designs in South Africa. – Some delightfully quirky, such as Porky Hefer, and others more classic and uniquely African. 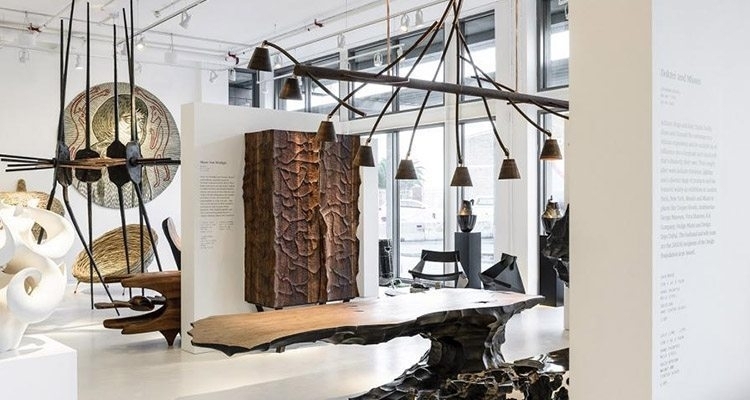 As well as a shop, it has regular exhibitions of contemporary furniture, lighting, art, and jewellery that have redefined perceptions of African design. Originally founded in Johannesburg in 1913, Everard Read is South Africa’s oldest commercial gallery, with galleries in Cape Town, Joburg and London. The artists they represent range from Dylan Lewis, well known for his bronze cats, to Brett Murray whose painting of Jacob Zuma when he was president was highly controversial. A walking tour first around workshops and studios on Chasmay Road Campus. This includes The Sewing Cafe, a training centre for graduates of the Evangeline Life Skills Project. 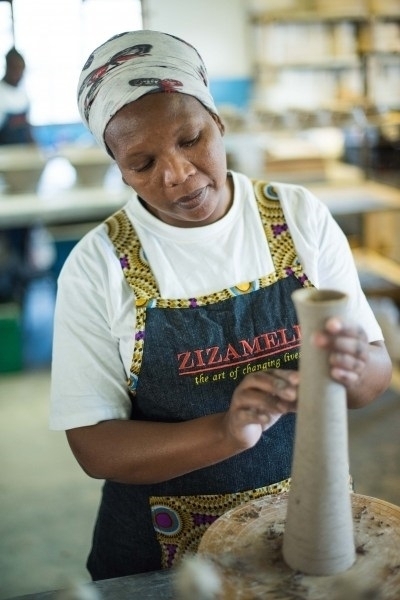 And award-winning Zizamele Ceramics hosted by its founder and director, Toni Burton. Then we’ll drive to the popular public library. Voyokazi Tatana, its head, will give us a glimpse of its activities. Its former librarian, Sue Alexander, will speak about its arts ‘graduates’ and success stories. We finish with Nonny’s home-made, classic isiXhosa lunch in her house nearby. Don’t miss out of this township tour with a difference. 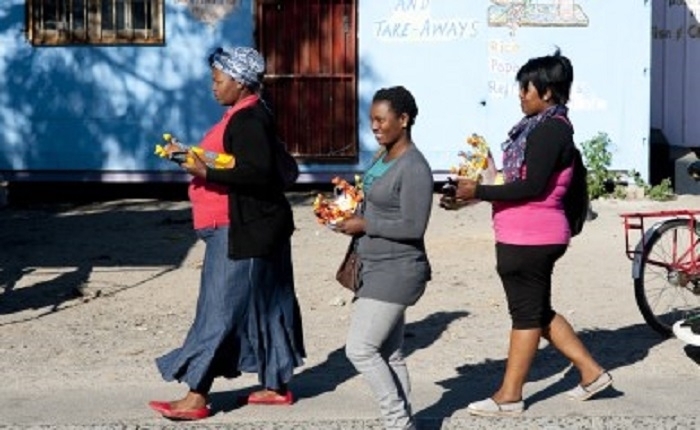 Local resident, community activist, and qualified guide, Bilqees Baker, takes us on a Bo-Kaap walking tour to private, sacred and public spaces. We visit the so-called slave tree, South Africa’s oldest mosque, Cape Town’s leading spice shop, and community projects. We’ll also learn about the country’s first political prisoners, slave history and problems with large property developments. 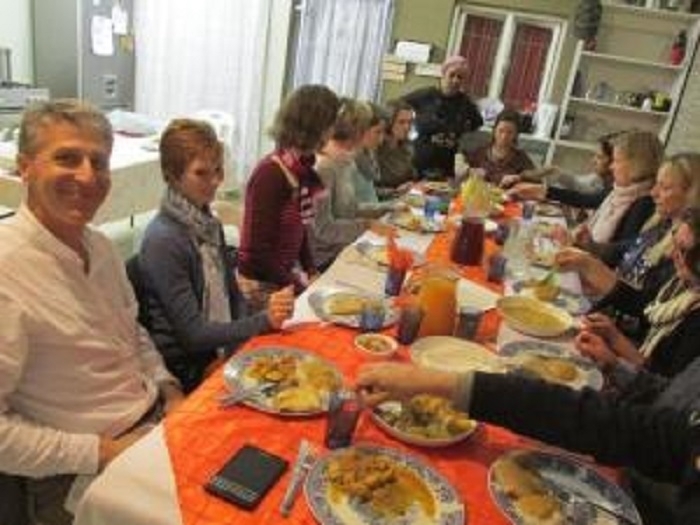 We finish with a homemade Cape Malay lunch in Bilqees’ friend’s house, Neesa Bosch, on Wale Street.